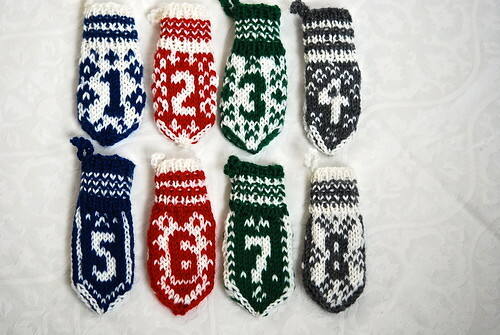 8 mini mittens from Julevotter Adventscalendar by Kari Haugen, knit in Dale of Norway/Dalegarn Falk. Started October 2, 2013. 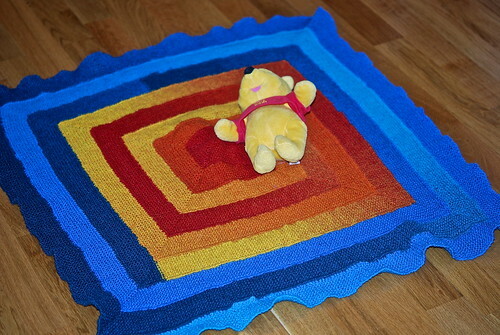 Ten Stitch Blanket by Frankie Brown, knit in Kauni Wool 8/2 Effektgarn (EU+EZ). Started September 7, 2013; completed October 31, 2013. 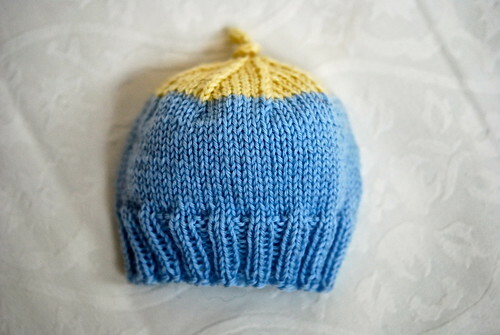 2 Preemie Baby Beanies by Karen Everitt, knit in Dale of Norway/Dalegarn Baby Ull left-overs. 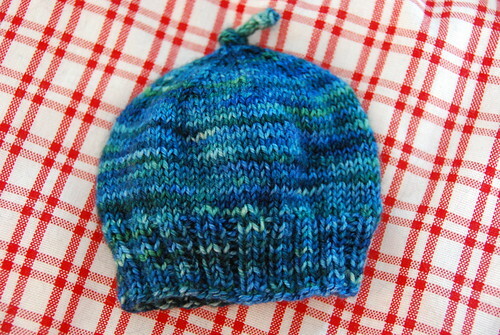 Preemie Baby Beanies by Karen Everitt, knit in Malabrigo Yarn Sock. Started and completed September 1, 2012. 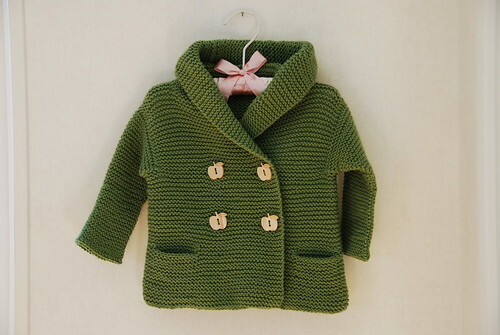 Duffle Coat by Debbie Bliss, knit in Rowan Amy Butler Belle Organic DK. Started August 27, 2012; completed September 1, 2012. 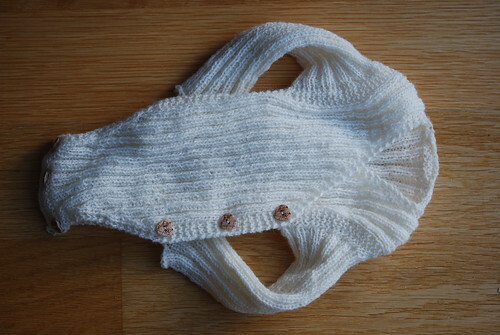 Fuglemammas omslagsbody by May B. Langhelle, knit in Askeladen Merino-lammeuld (2 ply). Started September 3, 2012; completed September 11, 2012. 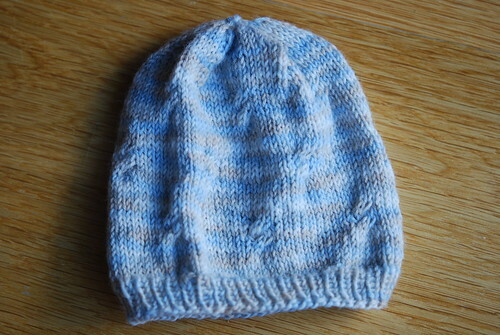 Little Cables Hat by Claudine Ong, knit in Sandnes Garn Lanett. Started and completed September 12, 2012. 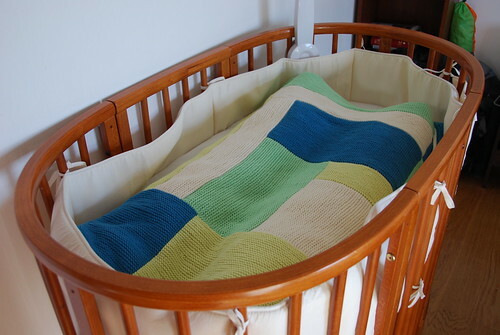 Moderne Baby Blanket by Kay Gardiner and Ann Shayne, knit in Rowan Amy Butler Belle Organic Aran. Started August 21, 2012; completed September 15, 2012. 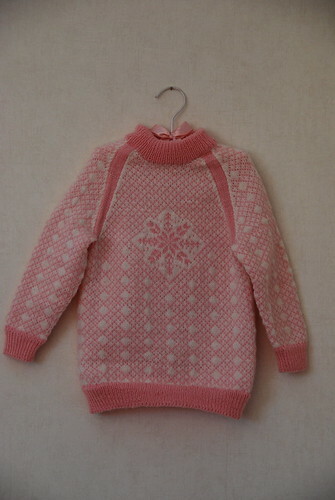 Heilårsjakke by Kathrine Gregersen, knit in Askeladen Merino-lammeuld (2 ply). Started September 7, 2012; completed September 15, 2012. 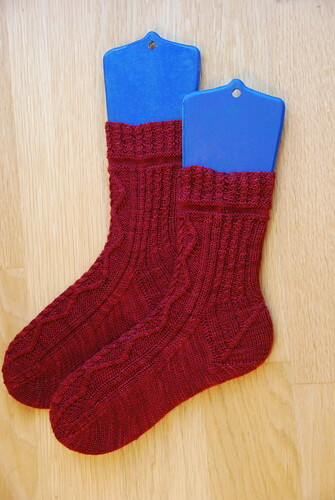 Dragonback socks by Allison Isaac (SKA September mystery sock), knit in Malabrigo Yarn Sock. Started September 2, 2012; completed September 22, 2012. 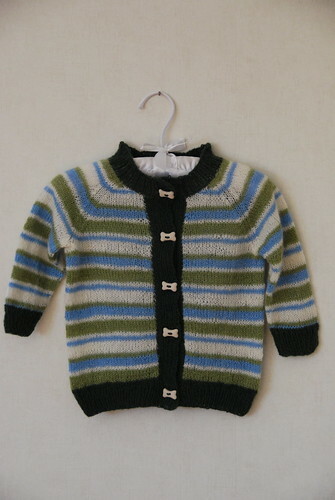 26405 VM-genseren 2013 (baby) by Dale of Norway / Dale Design, knit in Dale of Norway/Dalegarn Baby Ull. Started September 16, 2012; completed September 30, 2012.